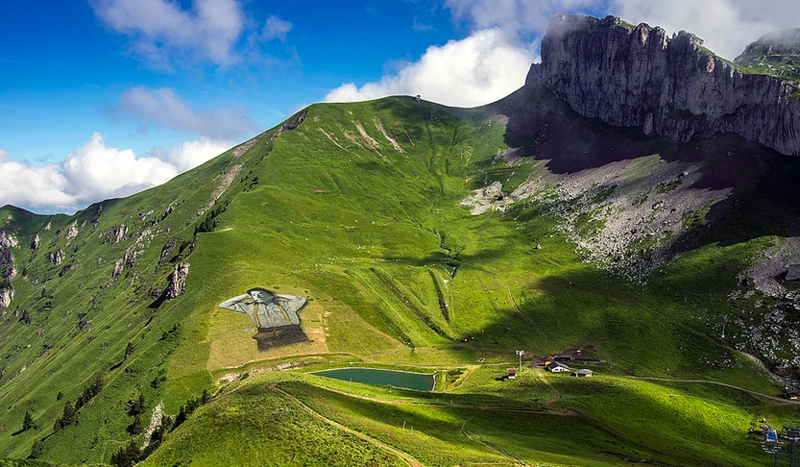 Most graffiti artists never get the chance to paint a human figure measuring a staggering 100,000 square feet, but most of them aren’t working directly on massive mountainsides, either. 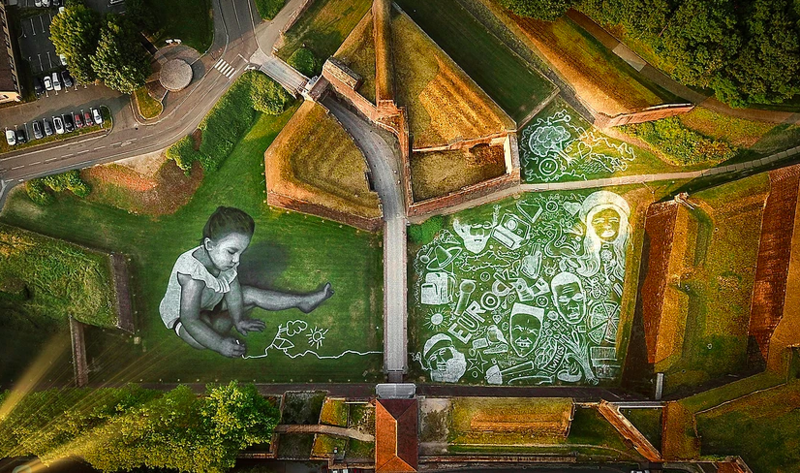 Swiss artist Guillame Legros, better known as Saype, creates temporary scenes in the grass using a special biodegradable paint he developed himself after a year of experimentation. 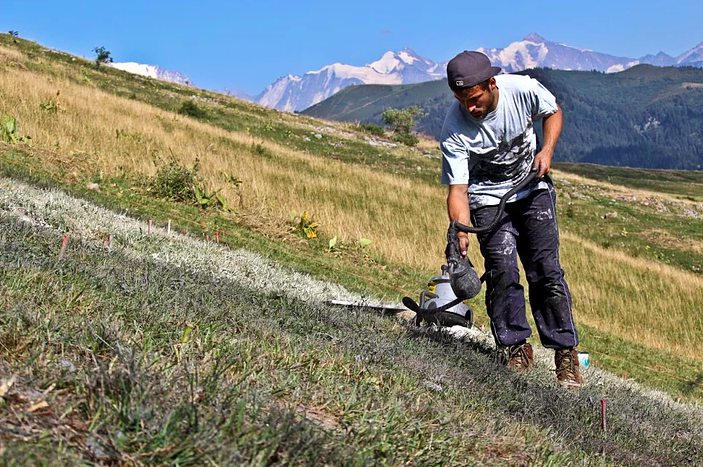 A paint gun helps him spay large quantities of pigment at a time onto grass cut extra short to make each work last as long as it can. The rate of grass growth and the weather determine whether each ‘fresco,’ as Sayre calls them, lasts just a couple weeks or perhaps just over a month. 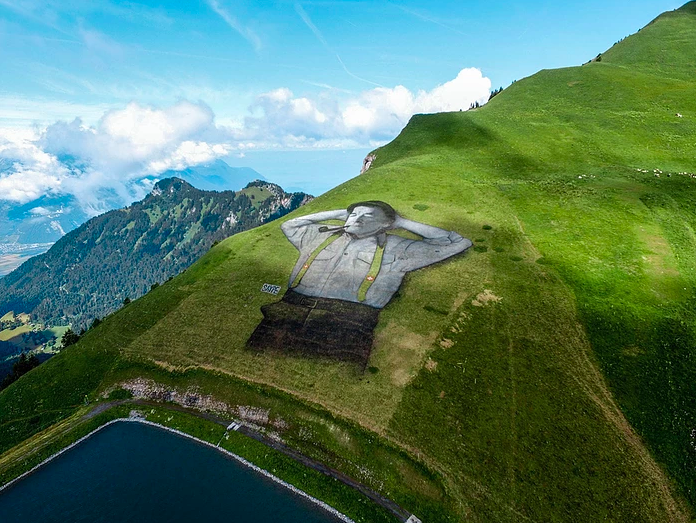 The 2016 piece ‘Un Grand Homme,’ depicting a man in lederhosen lounging on an Alpine cliff in Leysin, Switzerland, broke world records for its size, while the 2018 piece ‘Present by Future’ created for the Eurockéennes Festival in Belfort, France is his most complex work yet.